Companies all across the country, not to mention around the world, are processing more and more information as time goes on. From all the data that is necessary to process, as well as all the mobile and other electronic devices that link to a company or network wirelessly, it has become essential that companies upgrade the design of their data centers. Just as a company would not trust the investment of assets to the first person they meet on the street, they should not trust the design or upgrade of a data center to simply any architect. Those in Arizona that are looking to change their data center design realize this and are looking to incorporate experienced hands and minds to build the most efficient and beneficial data center. Though it may be easy for any architect to figure out the dimensions, storage capacities, and functional data center designs, finding the best Arizona data center design is best done by experienced architects. Through training, schooling, and on the job experience, these architects and designers are able to see the layout of a building already in place and optimize the space available. They have the knowledge to consider how much air flow needs to go through the data center to keep it cool and functional, where it will be safest even in the event of an emergency, and how to make a data center compact but accessible. Many data centers are complicated and must incorporate several different aspects to keep a data center working and efficient. 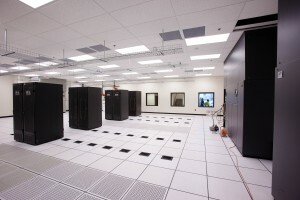 For example, many basic data center designs have a “hot aisle” where energy is filtered away from a data center, specific types of hardware and software that connect all parts of a network and provide backups for data, and much more. One of the benefits of utilizing experienced architects is the ability to have all these functions in a data center with the possibility of working with existing structures. Apart from the knowledge of the workings and distributions of energy in buildings, as well as what will be most structurally sound, professional Arizona data center design architects can utilize the storage capacities of a building to create an innovative and effective data center. Also, experienced architects can combine their knowledge and skills with those of a company’s IT professionals or other designers to make sure that the company has a voice in what the design does for them. Finding a professional architect to design an Arizona data center may be a little more expensive than employing one with less experience or employing an Arizona data center design that has been used in other facilities, but the price paid is far outweighed by the benefits that can be gained through a professional data center architect. Those with a working knowledge of new technology and physical capabilities can truly help companies to grow their networks, increase storage space for data, and keep overhead costs as low as possible. In fact, several companies have already incorporated unique designs for their data centers and have found new ways to allow for air flow, increase the size and capacity of a building’s storage, and even completely “green” centers. Through all these innovations, it is easy to see why so many are looking for professional architects to expand or design their data centers. This entry was posted in Data Center Design and tagged Arizona Data Center Design, Data Center Construction, scottsdale data center design. Bookmark the permalink.